London indie Present are really hitting their stride this season. Sure, their website needs work (if you’re asking big buck for garments, might be a good idea to include some details about the garment) but their buying policy is well on target. 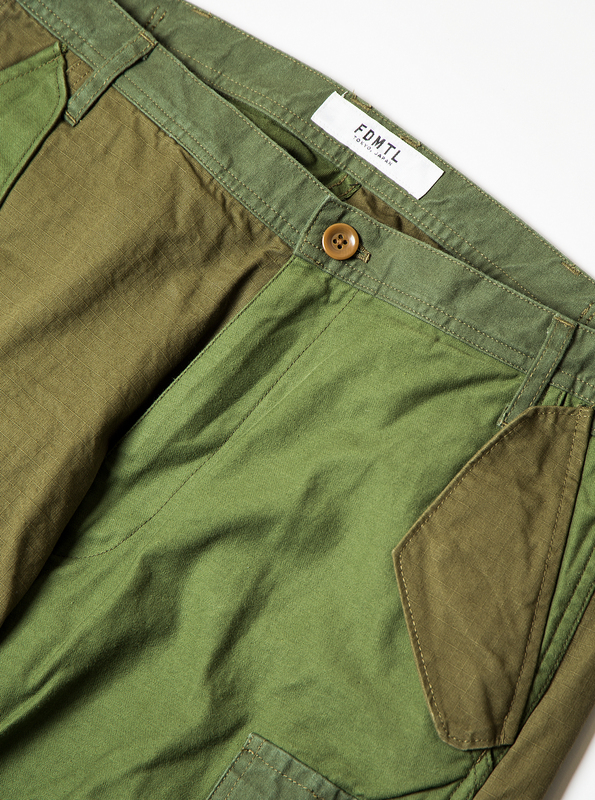 Recently there’s been a bunch of Monitaly (not just the olive and navy) and some choices that even manage to make Battenwear and Remi Relief look more interesting. Japanese makers FDMTL are in the latest drop. It’s not a brand I’ve been that enamoured with in the past, but there’s some stuff here that starting to make sense. 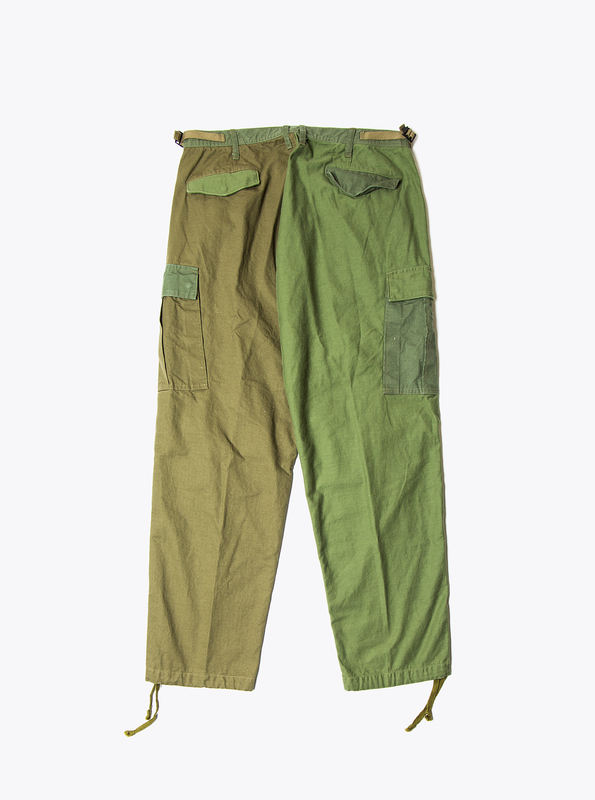 Not least these patchwork cargo trousers. Like so many Japanese menswear imprints, FDMTL set their stall out as guys who combine traditional construction techniques with progressive design thinking. Maybe it’s the specific products Present have selected, or maybe FDMTL are just improving, but this season’s is the best version of their vision I’ve seen. The tones used on these trousers just look right. A bit out-there for some perhaps, but if worn in combination with plain navy (please, not more green) they’ll do their job of looking provocative, without actually slamming someone’s forehead into a door handle. Engineered Garments Workaday regularly produce this kind of patch-worked trouser, but to my mind, these feel fresher, more worked-up, a little more modern. At £245.00, they’re robustly priced, but not in the empire of the preposterous. They do them in navy too. In fact you should head over to Present and check out FDMTL’s full range. Just ignore the distressed jeans. I’m obviously not advocating dressing like Zayn Malik.